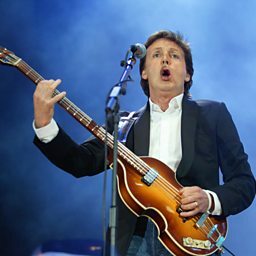 At the age of 75 and in the midst of the longest, most successful career in music history, Sir Paul McCartney still thinks he is a lucky man. Ringo Starr and his All Starr Band and new tour dates through Europe and Israel for 2018. Today marks 16 years since The Beatles guitarist George Harrison sadly passed away at the age of 58. Sir Paul McCartney will mark America's Record Store Day/Black Friday event by releasing a new version of his festive hit Wonderful Christmastime. The year leading up to the release of the Magical Mystery Tour album in November 1967 was turbulent but fantastically fertile for the Beatles – they were working on its songs more or less simultaneously with the ones that ended up on Sgt. Pepper's Lonely Hearts Club Band and the Yellow Submarine soundtrack. German police on Monday arrested a 58-year-old man in Berlin on suspicion of handling stolen items from John Lennon's estate, including the late Beatle's diaries. Stevie Van Zandt is nearing the end of his marathon 24-song concert at London’s Roundhouse. Ringo Starr calls from his hotel room amid the neon bling and bustle of Las Vegas, a Liverpudlian accent still peppering that unmistakable voice. Also: 'One Day a Week' feat. 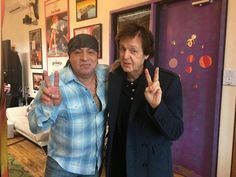 the McCartney family, Woody Harrelson and Emma Stone (video) ; Paul McCartney features new song in Meat Free Campaign "Happy Christmas, Beatle People!"